You became a freelancer. You’ve learned how to be productive at home (even when Netflix sounds like more fun). You learned a new skill that sells itself. You’ve found your first paying client. Next, let’s boost your income potential. Don’t feel anxious about the money question. You have every right to be fairly compensated for your work. Following these four strategies today will make future negotiations seem less stressful. #2 will inspire you to be more efficient. 1. Figure out your minimum acceptable rate. B) Make you feel it was worth the effort? There isn’t a “right” or “wrong” answer. It depends on your context. How experienced are you? Got a family to feed? Would you rather have more free time or a bigger bottom-line? Contemplate these questions. If you’re single and not particularly materialistic, you might be able to live on $30,000 per year. If you’re married with children and/or have a fondness for shiny objects, you might need to make $50,000-100,000+ per year. That’s totally doable. The average web designer earns $30-40 per hour. Photographers make a median rate of $29. 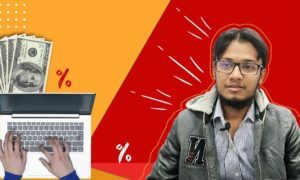 Freelance writing rates depend on the project’s nature; but assuming you don’t limit yourself to cheap Fiverr gigs and content mills, it’s not difficult to get your average hourly rate above $20. In other words, freelancing can pay the bills. However, this math won’t work for everybody. What’s the best solution? Option #2 (obviously). The higher your hourly rate, the more free time you’ll have for family, hobbies, and leisure activities; that said, manage your expectations. 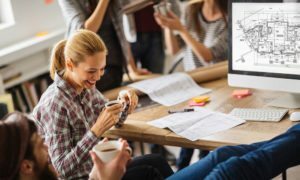 You might need to aim for a lower hourly rate and higher amount of working hours until you collect enough samples and testimonials to present yourself as an expert. Redirect your focus whenever it makes sense to do so. 2. Get clients to agree to a per project rate. Hourly rates aren’t so great. If you make a set amount of money per hour (no matter how productive you are or aren’t) where’s the incentive to be more efficient? That was a trick question, because there isn’t one. I’d rather do the same project — let’s just call it a 500-2,000 word article for the sake of example — and charge a per project rate of $50-500. Now I’m motivated to complete the article in a shorter time frame since that would result in a larger hourly income. Your freelance clients could be thinking the same thing. If you’re being paid $50-150 for a project you can finish in three hours or less (and your client finds out), they might feel ripped off. Do NOT mention how long the project will take and stay away from hourly contracts. 3. Don’t impose limits on yourself or your potential. The first freelance writing assignment I ever received was at Lifehack. They paid $15-30 per blog. Worth it? At the time. Publishing content on that website allowed me to demonstrate talent, build a strong portfolio, and get paid in the process of doing so. The second freelance assignment I ever received was for a corporate wellness blog. They paid $200 per post. Whoa! Huge leap, right? I sustained that client relationship for about a year, which helped me stockpile a decent amount of savings and become a full-time freelance writer. I didn’t say a word about my rates when that client contacted me. It’s a good thing I didn’t, because I would have undervalued myself. Instead, I focused on their needs, goals, and budget. Today I follow the same approach. Whenever possible, get the client to name their price. They might surprise you. 4. Aim higher than your minimum acceptable rate. First, you must know exactly how many hours you’ll need to complete certain types of projects. For photographers, that could be a 1-3 hour client photo shoot. Add more time for travel, set-up, and tear-down. For web designers, that could be a basic layout and navigation bar. Add more time for about pages and online shopping carts. For freelance writers, that could be a short-and-sweet list post or long-and-elaborate essay. Add more time for SEO, research, and formatting. This is important, because it’s hard to determine whether or not a project is worth the effort when you can’t predict how much work will be involved. If you’re not aware of those details, keep a time log for every project you complete this month. As a result, you’ll feel more confident in future price negotiations. All of that said, start the negotiation at least 10-20% above your minimum acceptable rate. There’s no down-side. You’ll probably meet in the middle of those numbers. Your client will be happy since they got a deal and you’ll secure a rate that meets or exceeds your expectations. It is a win for both parties. Also: be conscious of who you’re talking to. If you’re writing a sales page for an established business, they will see an immediate ROI on that project. I would be ambitious about my price quote in that situation. But if you’re asked to write content for an unknown blog or small business, they probably won’t see an ROI for a bit. I’d be more conservative in that case. Know your audience. 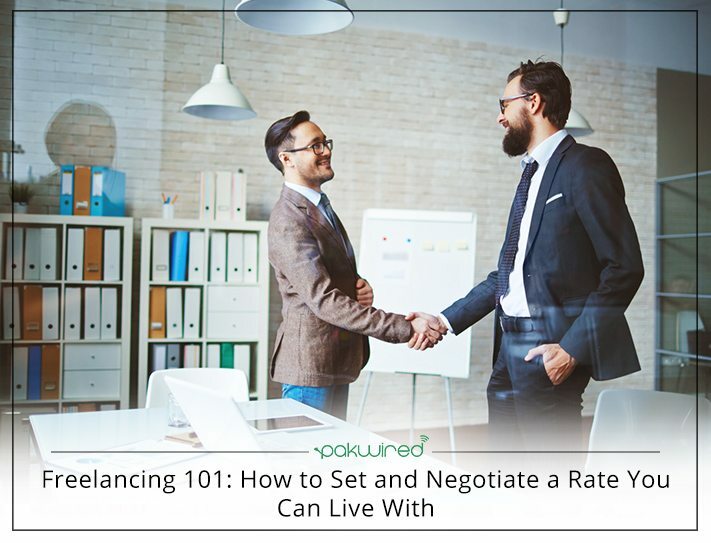 Share this article with all of your friends who freelance so they can learn how to set and negotiate a rate, too!